What’s the longest battle sequence in long running shonen anime? Once those characters start going at each other, it can just run and run. You have to book a day off work if you want to binge watch Goku vs. Frieza, and if you’re looking to catch up with the Ninja War in Naruto, you’ll probably have to take a sabbatical. 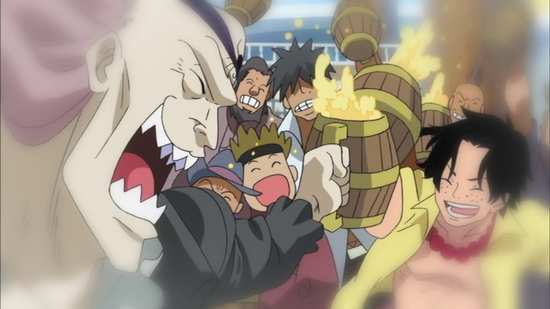 The Grand War between the Navy and the Whitebeard Pirates is somewhere in between. Adding up the episodes that started in the previous collection, and conclude here, it’s a full 29 episode run, with no distractions or filler. Buckle up, as it’s about to get feisty. Monkey D. Luffy wants to be a pirate. 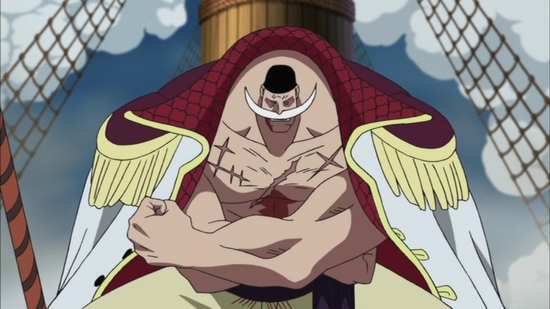 No he wants to be the best pirate of them all, sail the Grand Line, find the legendary One Piece treasure left behind by Gold Roger, and become the Pirate King. He’s inspired in this by his mentor, Red-Haired Shanks, who saved his life when he was a child. 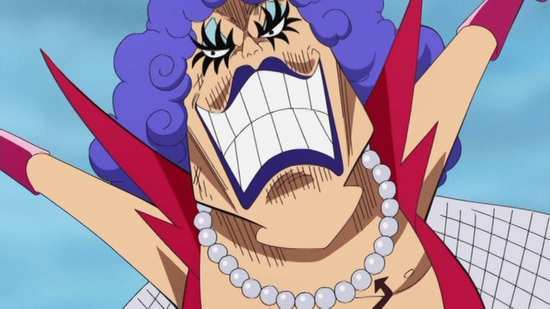 He also ate the Gum-Gum fruit, a devil fruit which has given him stretchy rubber limbed abilities, although at the cost of his ability to swim. You’d think this would be a fatal handicap in a pirate, but Luffy has set sail nevertheless, looking to gather the best crew on the high seas, and venture forth onto the Grand Line. 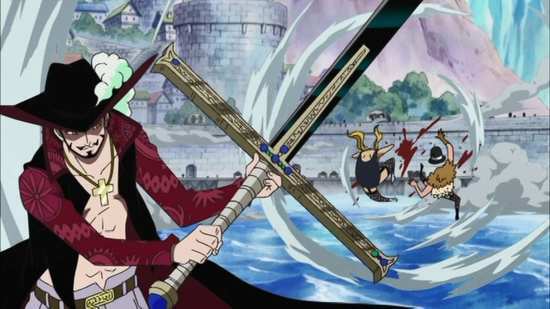 The first candidates for his crew include the mighty pirate-hunter swordsman, Roronoa Zoro, the skilled, pirate-hating thief Nami, the world’s greatest liar, Usopp, and the toughest chef around, Sanji. He’s later joined by the world’s first and only blue-nosed reindeer doctor, in the form of the fatally cute Tony Tony Chopper, the enigmatic and multi tasking Nico Robin, the cola-fuelled cyborg shipwright Franky, as well as the perverted skeletal troubadour Brook. 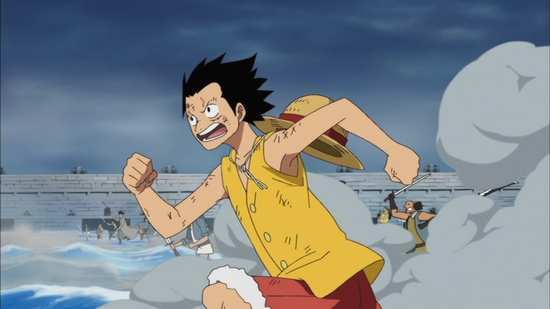 Previously on One Piece, Luffy made it to Marineford, where the Whitebeard Pirates had just launched their attack on the Navy HQ, in order to rescue Luffy’s brother, Fire Fist Ace. As the action continues in this collection, we learn that this is exactly what the Navy had been planning for. 23 episodes of One Piece are presented across 4 DVD discs from Manga Entertainment. Note that episode 492 is missing from this release. It’s the first One Piece/Toriko crossover, and at the time of the release of this collection in the US, Funimation lacked the rights to Toriko, which is why they couldn’t distribute it. 469. 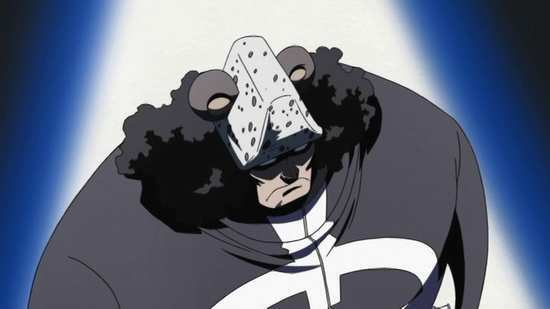 Kuma’s Transformation! Iva’s Blow of Anger! 472. Akainu’s Plot! Whitebeard Entrapped! 477. The Power That Will Shorten One’s Life! Energy Hormone Redux! 481. Ace Rescued! Whitebeard’s Final Order! 482. The Power That Can Burn Even Fire! Akainu’s Ruthless Pursuit! 484. The Navy Headquarters Falls! Whitebeard’s Unspeakable Wrath! 486. The Show Begins! Blackbeard’s Plot is Revealed! 490. Mighty Leaders Face Each Other Down! Heralding the ‘New Era’! 491. Landing At The Maiden Island! The [Redacted] Falls Upon Luffy! 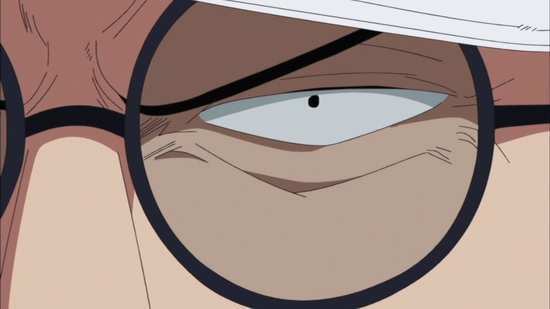 One Piece is presented at a 1.78:1 anamorphic ratio, and we get anime of the quality that we’ve come to expect on DVD in this high definition age. It is native NTSC encoded progressively the image is clear throughout, and now obviously comes from an HD source, so improved is the line detail, although there is the odd moment of shimmer on the really fine detail. Colours are strong, the animation is vibrant, and there’s no more judder if you’re watching the show with progressive playback. There are still moments where the animation really takes a walk on the wild side, bringing to mind the wackiness of Tex Avery cartoons and the like. This is a show where surprise can make people’s eyeballs bug out of their sockets, and their jaws drop to the floor. The previous collection suffered a bit from uneven, jerky pans when played back on non-progressive equipment, but that isn’t an issue here. You have the choice of DD 5.1 Surround English, and DD 2.0 Stereo Japanese, with optional translated subtitles and a signs only track. As usual, I watched the series through in Japanese with subtitles, and found a fairly standard shonen anime dub, with enthusiastic and over the top performances that suit the tone of the show well. The stereo does a good job in conveying the show’s ambience and action sequences. Where One Piece really impresses is in its music score. Far from the comparatively weedy synth efforts afforded to the usual anime shows, One Piece apparently gets a full on orchestral score, at times giving the show an epic and grand soundscape that by far belies its comic book origins. The subtitles are free of error and are accurately timed. There are English language text overlays burnt into the print. Any place where a new character or new location is introduced, text appears to inform us of it. Given that One Piece has a signs only track as well as subtitles, I’m not sure why this was done. The discs present their content with static menus set to the background music from the show. The episodes can be played with Marathon Mode, stripping out the credit sequences. Disc 1 autoplays with a trailer for Funimation NOW. Disc 2 autoplays with a trailer for Yatterman Night. Music Lesson with Brook lasts 4:53, and offers a bit of silliness with voice actor Ian Sinclair. There are two commentaries on this disc, the first on episode 476 features Andrew Love (Akainu), and Jason Douglas (Aokiji). 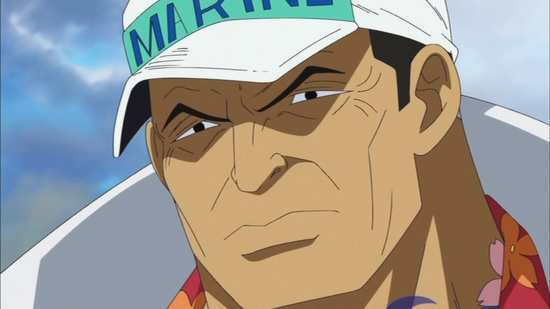 The one on episode 480 has Ed Blaylock (Sengoku), and Brian Mathis (Garp). 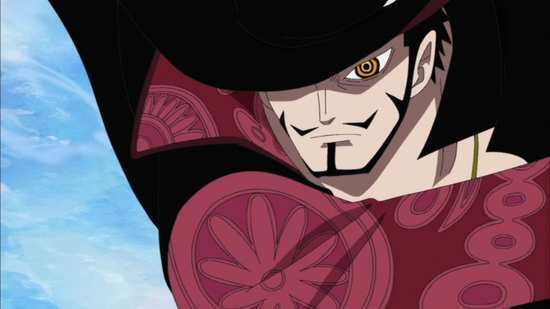 Disc 3 autoplays with a trailer for Funimation NOW, and there is an audio commentary on episode 482 with ADR Director Joel McDonald, Colleen Clinkenbeard (Luffy), and resident One Piece expert and production assistant Katherine Salavarria. Episode 486 also gets a commentary with Joel McDonald, Matt Thurston (Shiryu), and Cole Brown (Blackbeard). Disc 4 autoplays with a trailer for The Melancholy of Haruhi Suzumiya. The Funimation voice actors and staff take some time to pick their top ten One Piece Moments so far, in a featurette that lasts 18:14. Finally on this disc, you get the textless opening, and trailers for The Disappearance of Nagato Yuki-chan, Fairy Tail, Barakamon, The Rolling Girls, and A Good Librarian Like a Good Shepherd. There’s not a lot that I can say about Part 20 of One Piece, that I haven’t said in my review for Part 19. There’s no filler to be had in this collection though; it’s all manga adapted material, and it solely focuses on Luffy’s fight to save his brother Ace from execution, which has become the motive behind an all-out war between the Navy and the Whitebeard Pirates. There are some whopping great spoilers I’m scrupulously avoiding in this review, and you’ll note that I’ve even edited the episode titles. One annoying trait of shonen anime is that episode titles usually summarise what happens within, and with this collection, don’t bother with the episode select, just press Play All at the start of the disc. It’s like the modern cover of the Planet of the Apes DVD, the one with the melted Statue of Liberty on the front. I’ll reiterate my opinion that Luffy by himself is only a fraction as entertaining as the Straw Hat pirates as a group. 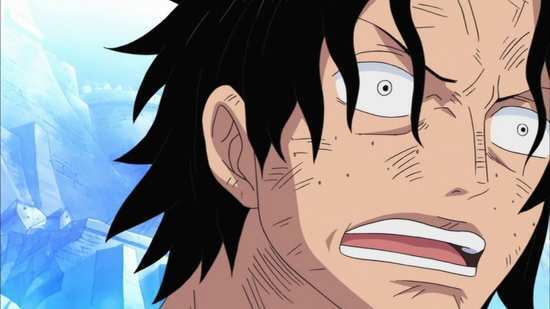 I missed Zoro, Usopp, Sanji, Nami, Chopper and the rest, and the Whitebeard Pirates, the Warlords and the Navy Admirals were no replacement, despite one of the Whitebeards obviously being a He-Man fan. Pretty much all of the episodes here concentrate on that war, saving a few at the end for its aftermath. 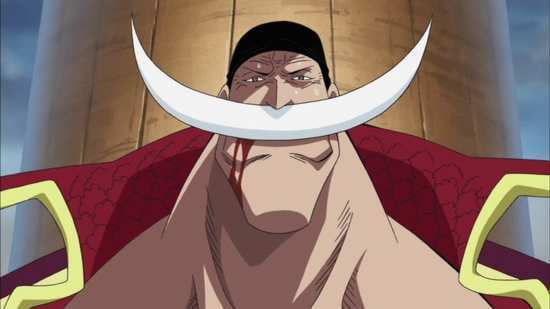 Sure there are plenty of flashbacks, the focus shifts from character to character on the battlefield, and thankfully for me, the action is broken up with the odd moment of comic relief from Captain Buggy, as he sneakily tries to level up his reputation, and despite all his pratfalls and mistakes, his followers become ever more fervent at his perceived greatness. Despite myself however, my professed apathy at a group of characters that I just hadn’t invested in, I found that I was getting into the show at this point. 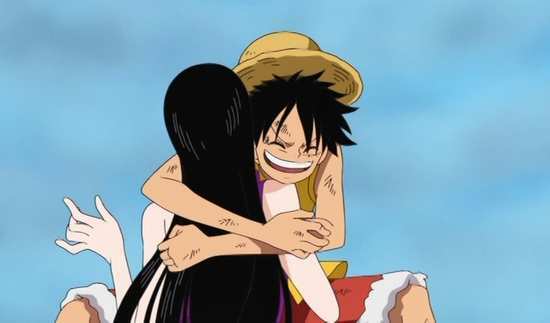 Luffy alone is no substitute for the Straw Hat crew as a group, but Luffy alone can carry the show, and his need to save his brother is emotional investment enough to keep me watching. The show does go in an unexpected direction too, which certainly will have ramifications for the character as the series develops. At least I hope it will have ramifications, as what happens in this collection is catalyst enough for a whole lot of character development. 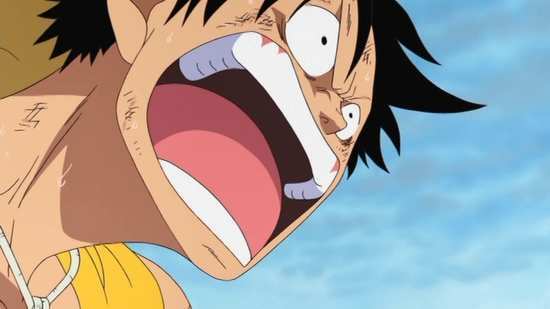 Luffy can’t stay the happy-go-lucky goofball forever, and at some point he will have to contemplate just what his desire to be King of the Pirates actually means. That’s really all I can say about this collection of episodes without divulging spoilers. I do look forward to when the Straw Hats finally reunite, but it seems that won’t happen until Collection 22. Hopefully Collection 21 will go into more detail as to what the other characters are up to in their respective adventures, as what little we’ve had so far in the odd side episode hasn’t been all that satisfying. Collection 20 is absolutely essential if you’re a fan of One Piece, although it isn’t One Piece at its best.